Originally published on April 27th, 2015. Because I’ve got something real good for you today. 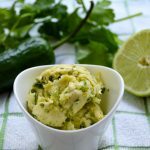 Unless you’re not a fan of spicy, then I’m afraid this delicious recipe isn’t for you. For the rest of you who love the heat, though? I’m about to make your day. 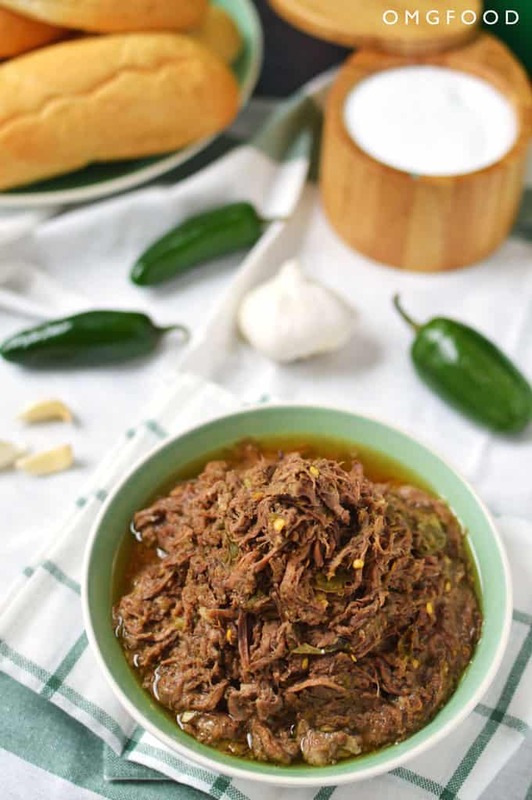 One of my favorite slow cooker recipes is pepperoncini beef, which consists of 3 ingredients: a 2-4lb chuck roast, a jar of sliced pepperoncinis, and garlic. I had a chuck roast defrosting in my fridge from last month’s Walden Local Meat delivery and I was trying to think of what I wanted to do with it that didn’t scream “winter” now that it’s been warmer out. I started craving that spicy beef, but I didn’t have a jar of pepperoncinis on hand. Plus, I was doing a Whole30 at the time and finding a compliant jar of those peppers is nearly impossible because of the preservatives. Though I had jalapeños in the fridge (they’re kind of a staple in this household), so I decided to experiment in the test-kitchen. 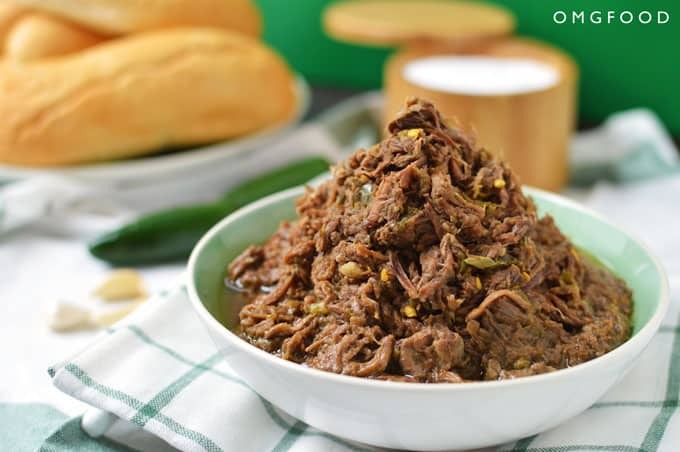 And so I made this jalapeño garlic beef in the slow cooker. And it was glorious. Let me tell you how this went down. I had a 2.5lb roast. I seasoned it all over with some kosher salt and threw it in the crockpot. I then sliced up four large jalapeños and threw those in with garlic (I included the seeds in the peppers because I love heat). Then I mixed together some homemade chicken stock and vinegar and threw that in. Then I covered the slow cooker and cooked it on low for 6-8 hours; until the beef practically melted at the touch of the fork. The prep time to get all the ingredients into the slow cooker? Like, five minutes? Maybe less? It’s worth noting I only had champagne vinegar available the first time I made this, but I’ve used apple cider vinegar every other time. 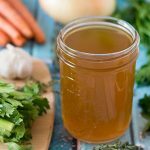 I never noticed a difference in taste between the two, but I recommend you save the champagne vinegar for dressings and such if you have it on hand – and go for the apple cider vinegar for the cooking! Your wallet will thank you. I didn’t actually plan for this to be a blog post. My plan was to test out the recipe to see how similar it would be to the pepperoncini beef and to fix my craving. I had actually put all my photo gear away by the time this was ready. Then I ate a few bites and I was like, “Welp!” So I set everything up all over again. 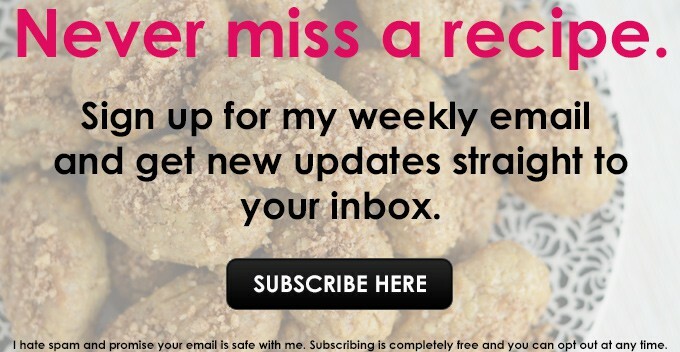 I was so excited about how good this came out, I had to tell you ASAP! I brought it to work the next day for some friends to try. They devoured it. I didn’t go home with leftovers, but seeing their reactions to the taste was so worth it. Also, the vinegar is going to smell pretty strong at first, but remember, it’s going to cook for HOURS. That smell will cook off and it will give the beef a delicious tang. Trust. 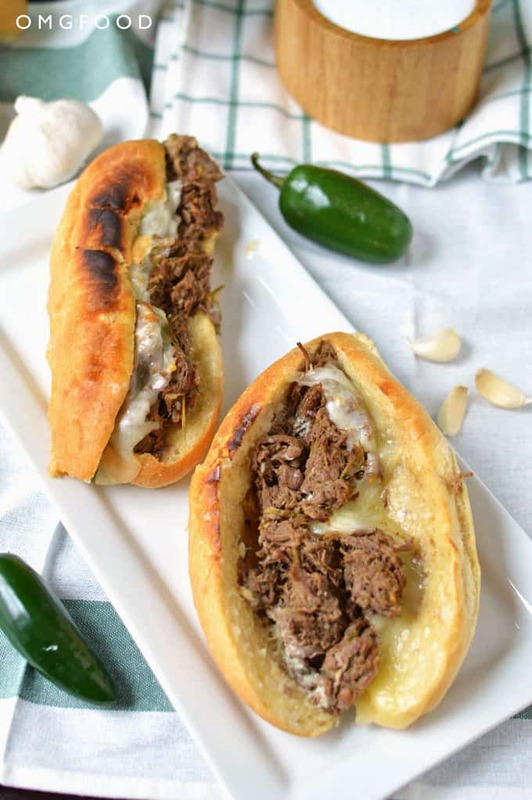 I ate this as is with a side of veggies, but my absolute favorite way to have spicy beef is in a sandwich with creamy horseradish sauce and melted cheese; preferably provolone or mozzarella. Seriously, it’s a fantastic combination. In a cup or bowl, add in the vinegar and chicken stock. Stir to combine and set aside. Throw in the jalapeños and garlic. Pour the vinegar mixture over everything. Cover and cook on low for 6-8 hours, until the beef comes apart easily using a fork. Keep warm until ready to devour. Note 1: I use homemade chicken stock for this recipe, which doesn't have salt in it. If you are using store-bought stock, use half the amount of salt measured for this recipe. Note 2: Jalapeños can be tricky when it comes to heat. Sometimes, they are really hot and other times, they're on the milder side! If you want more heat, use more peppers. Alternately, you can play around with different peppers for various levels of heat and flavor. Oh WOW! 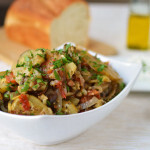 I love how simple this is but the ingredients you use it’s obvious this is PACKED with flavour!!! Nagi, I almost couldn’t believe how tasty it was because of the simplicity. I kind of want to make it again this week! This was so good. It was so moist and has such great flavors that marry well. Thanks, Georgia! I’m so glad you enjoyed it. Wow! This recipe sounds so great! Beef, jalapeño and some garlic sounds mouth watering. 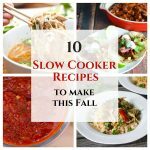 iIhave to buy myself a slow cooker! Thanks, Oana! I love my slow cooker for easy cooking. You could probably braise it over the stove or in the oven as well! I would recommend cutting the roast into large chunks and searing all sides in some light olive oil, then add the other ingredients in. Let come to a boil, cover, and simmer for 2-3 hours! Hi Marissa! I cook from scratch every day (always have). I used my crock pot a lot more when I was working, but I’ve recently brought it out again and I know what’s going in it very soon! I will pass this on to my son – he will love it! He cooks dinner nearly every night for his girlfriend and he’s good! 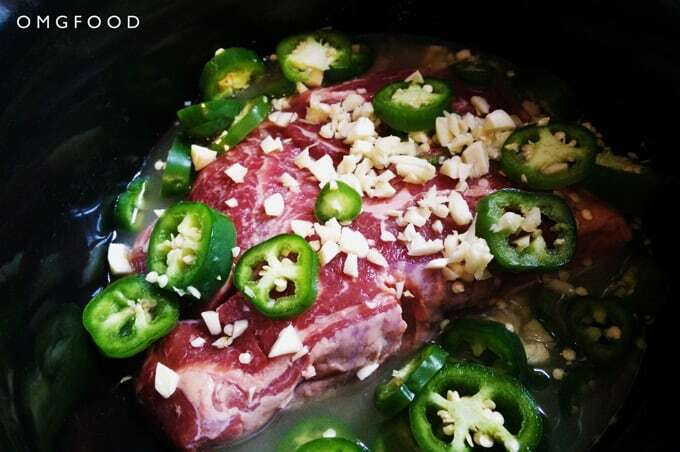 I don’t use my crock pot enough these days, but really should because I work full-time! I do tent to stick to easy cooking during the week, but it’s always nice to come home to a meal ready for you. I’d love to know how you and your son liked it if you make it! I used a smaller roast than most might for this recipe, so if you go with a larger one, adjust the ingredients for more heat! Now that sounds rather delicious… And in many ways really similar to a traditional vindaloo (although there are a few more spices in a vindaloo), love it definitely going to give it a try. Thanks, Brian – I love a good vindaloo and now I want to make THAT! Let me know how you liked it if you end up making it! Oh my. I want! Time to whip out the crock pot…. Though I don’t eat beef, but still this seems tempting. I can try this with chicken or lamb meat. Loved the pictures too. Thanks, Deepika! 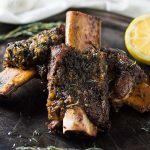 I haven’t tried this with other meats yet, but I’d be really curious to find out how the flavors do with lamb…I might have to try that! That looks absolutely delicious, the sandwich at the end especially! Thanks, Gemma! 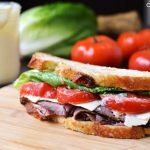 I especially love this meat in a sandwich, but I’ve been eating some of the leftovers with rice once I ran out of bread. Om nom nom. Looks amazing. I love anything with garlic, really. A dog person, yaaayy!! I’m also more on the dog side, hahaha. I’m not really into meat, but I admit this beef looks pretty good! The name of your blog is also excellent, seriously! Okay you’ve got me. 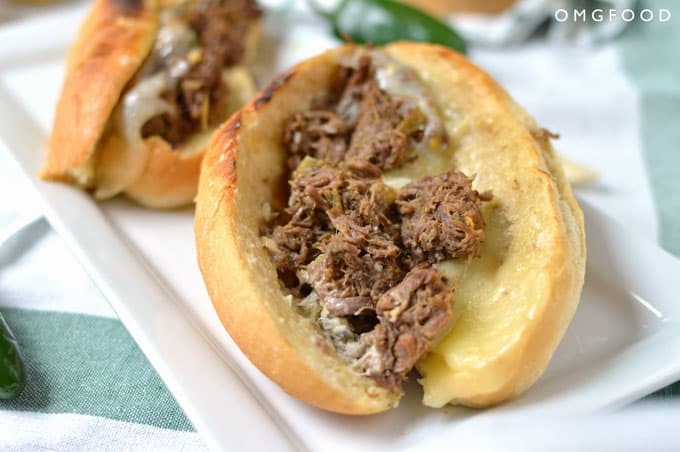 Slow Cooked AND with Jalapeno inside? YES PLEASE! This combination is da bomb! Thanks for sharing this awesome recipe. Thanks, Levan! The tang from the vinegar with the garlic and jalapeno combined is just awesome. This sounds great. I usually brown a roast (or any meat) before I put it in the crock pot, or begin any braising process. Any reason you think I shouldn’t? Also was thinking of adding some cumin and ancho chili powder…. Thoughts? Hi Jennifer! I don’t see any reason why you shouldn’t brown it beforehand. I usually do the same for lots of pot roasts/braised dishes; the only reason I skipped it for this dish was to demonstrate how easy and quick it can be to prepare this for the slow cooker. Either way, it’ll come out tasty, I’m sure! I actually have a friend who doesn’t own a crockpot and made this in a dutch oven instead by cutting the roast into chunks and searing it before braising; he said it came out really good. 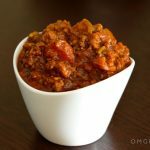 As for the cumin and ancho chili, both sound like a tasty addition and I say go for it. I’d love to know how it comes out when you make it! Yessssss, I hope it turned out awesome!